EBFG discs are one of the most important and useful discs which are used for the manufacture, fabrication and construction purpose of various kinds of industrial equipments. These EBFG discs have been manufactured using very tough and tensile quality raw materials at our company with proper shape, size and dimensional accuracy. We are Trader fiber glass disc using reinforced cloth. Which is coated with epoxy resin, and then they are cured and punched. 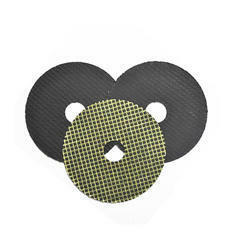 They are widely used as a reinforcement base material for heat resistance in high speed cutting like grinding wheels. 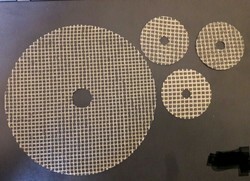 We are engaged in offering Fiberglass Discs.